Publisher's original thick colour illustrated board covers with rounded corners, scarlet cloth spine. 8vo 8½'' x 6¼''. ISBN 3876243769. Contains 20 thick boards of printed pages of German text with colour illustrations throughout. In Fine condition, unused new book. 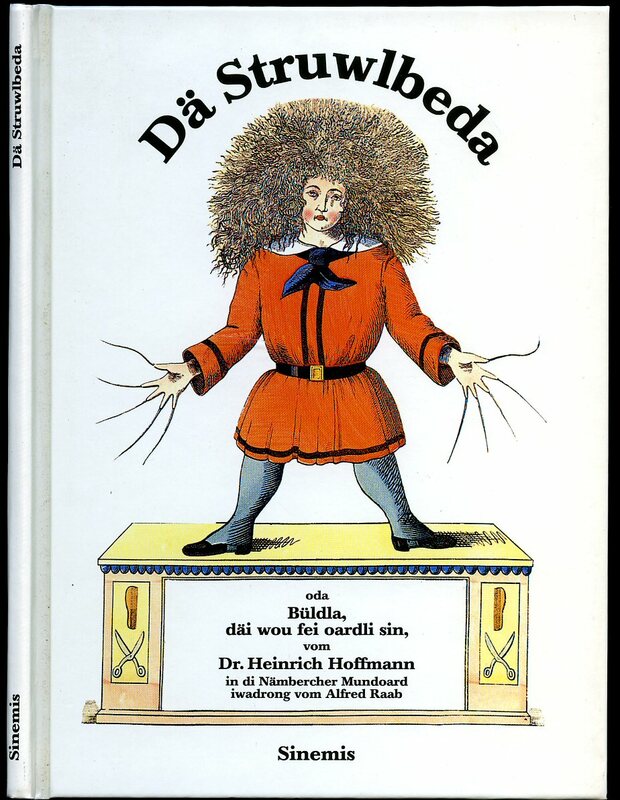 We currently hold in stock 35 other Struwwelpeter editions. Member of the P.B.F.A. Published by informationspresse c. w. leske verlag, Köln 1986. 1986. Hard back binding in publisher's original colour illustrated paper covered boards. 8vo 9½'' x 6½''. ISBN 3921490367. 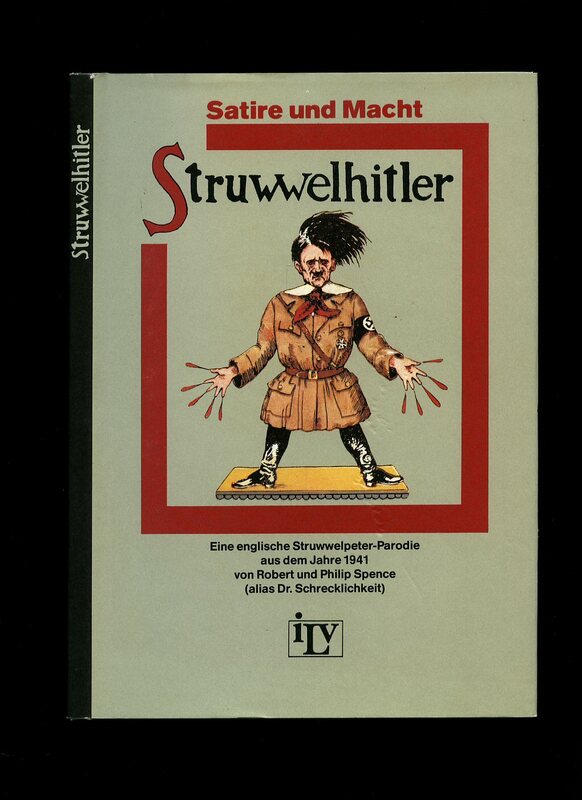 Contains 96 printed pages of German text with colour illustrations throughout Without any ownership markings. Fine condition book in Fine condition dust wrapper, unused new book. 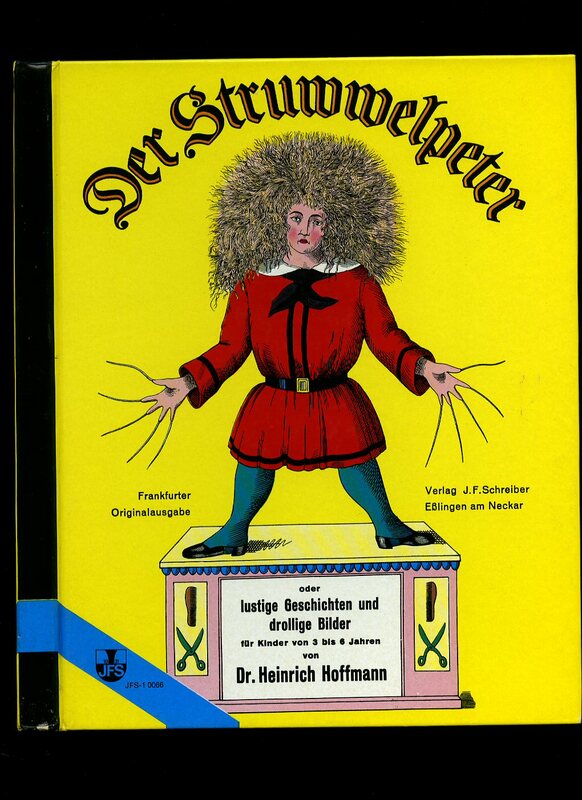 We currently hold in stock 35 other Struwwelpeter editions. Member of the P.B.F.A. Published by Carlsen Verlag GmbH 1970. 1970. Publisher's original stapled card wrap covers. 8vo 8'' x 6¼''. ISBN 3551077029. Contains 24 printed pages of German text with colour illustrations throughout. Without any ownership markings and in Fine condition, no dust wrapper as published. 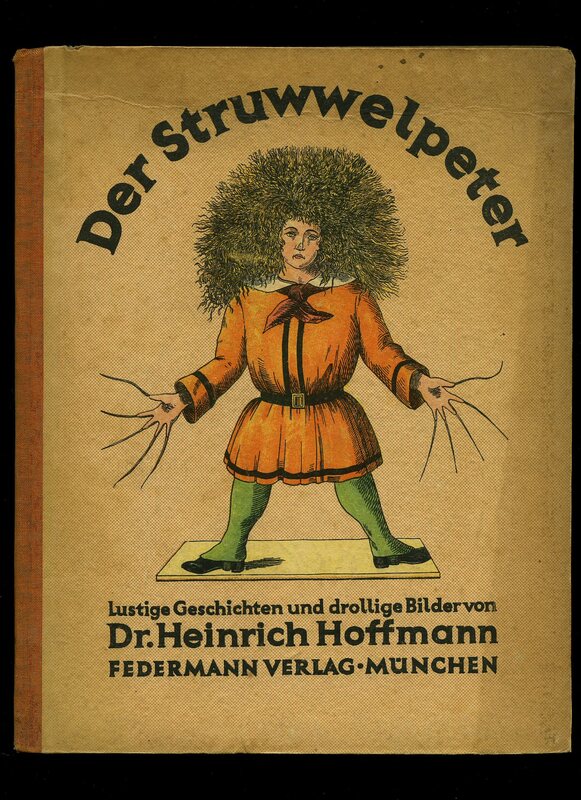 We currently hold in stock 35 other Struwwelpeter editions. Member of the P.B.F.A. Published by Frankfurter Originalausgabe, Saarverlag Saarbrücken 1948. Publisher's original stapled thin ivory card wrap covers, orange cloth spine. Quarto 10'' x 7¼''. Contains 24 printed pages of German text with colour illustrations throughout. Soiling marks to the covers, the staples are pulling a little when the front cover is opened, without any ownership markings and in near Very Good condition. 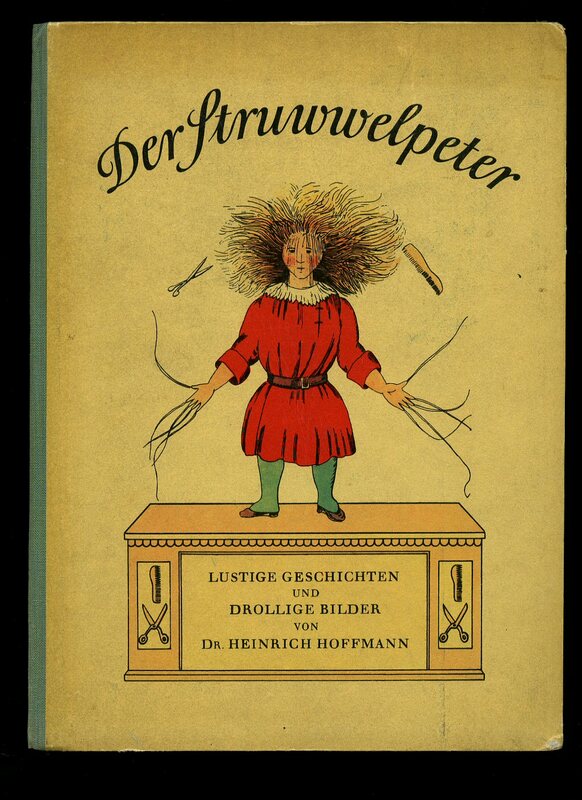 We currently hold in stock 35 other Struwwelpeter editions. Member of the P.B.F.A. Published by Frankfurter Originalausgabe, Loewes Verlag Ferdinand Carl, Stuttgart circa 1950. Hard back binding in publisher's original brown paper colour illustrated covers, strawberry cloth spine. Quarto 10'' x 7½''. Contains 24 printed pages of German text on thick boards with colour illustrations throughout. 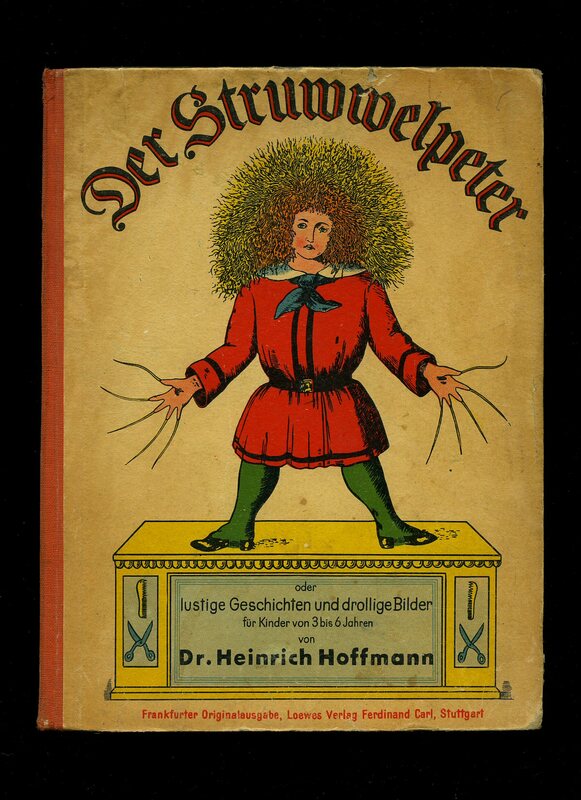 Damp stain mark to the fore edge of each illustrated board, scribble and soiling to the lower cover We currently hold in stock 35 other Struwwelpeter editions. Member of the P.B.F.A. 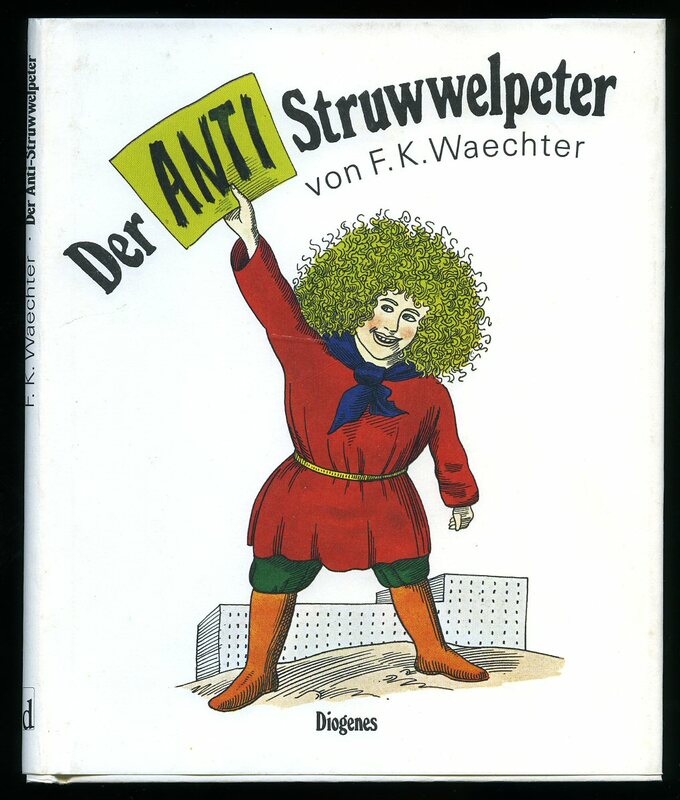 Published by Kinderbuchverlag, Berlin 1956. 1956. Publisher's original thin brown card wrap covers with colour illustration to the front cover, blue green cloth spine. Quarto 10½'' x 8''. Contains 26 printed pages of German text with colour illustrations throughout. Very light soiling to the fore edge of the front cover, without any ownership markings and in Very Good condition. 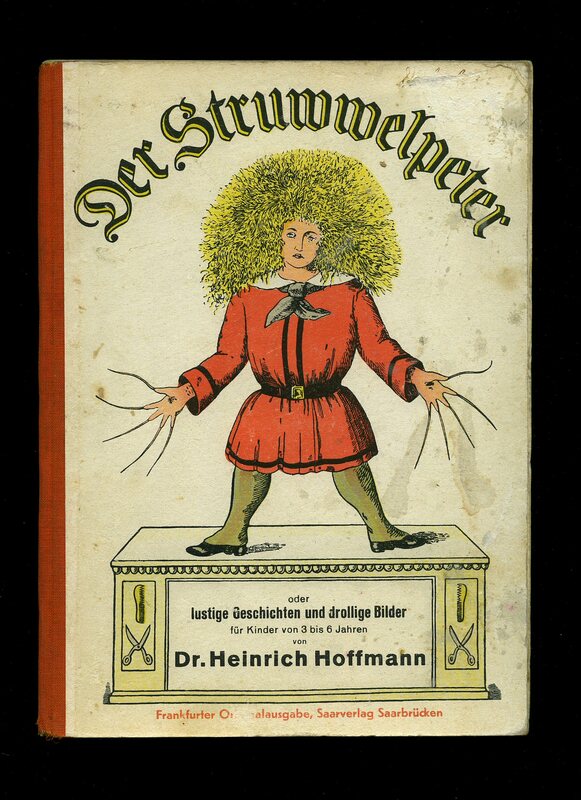 We currently hold in stock 35 other Struwwelpeter editions. Member of the P.B.F.A. Published by Yoshimasa & Mitsumasa Ito 1980. 1980. Hard back binding in publisher's original cream paper covered boards covers, scarlet cloth spine. Quarto 10½'' x 7½''. ISBN 0470684311 Contains 36 printed pages of Japanese text with colour illustrations throughout. Without any ownership markings. Fine condition book in Fine condition dust wrapper, complete with the original Japanese wrap around band. 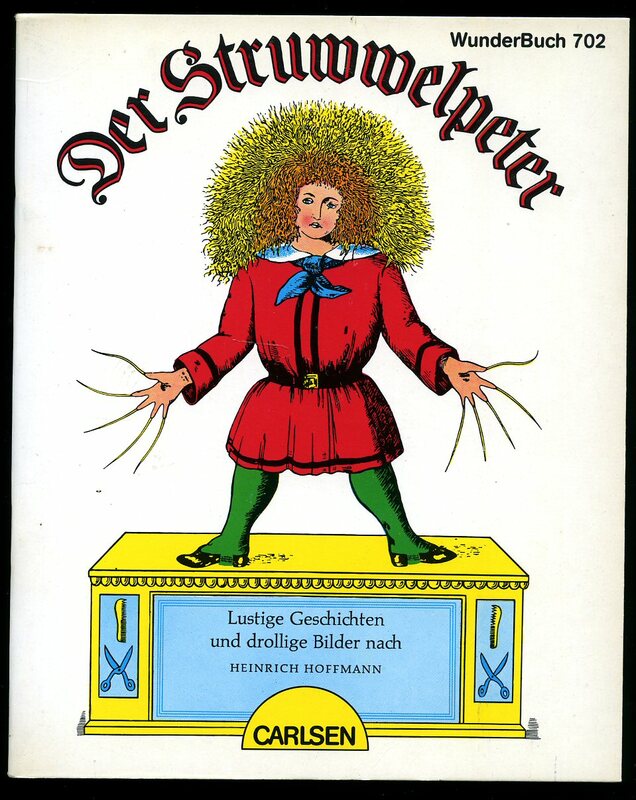 We currently hold in stock 35 other Struwwelpeter editions. Member of the P.B.F.A. Published by Verlag J. F. Schreiber Eßlingen am Neckar circa 1980. 1980. Hard back binding in publisher's original colour illustrated glazed covers. Quarto 10½'' x 8¼''. 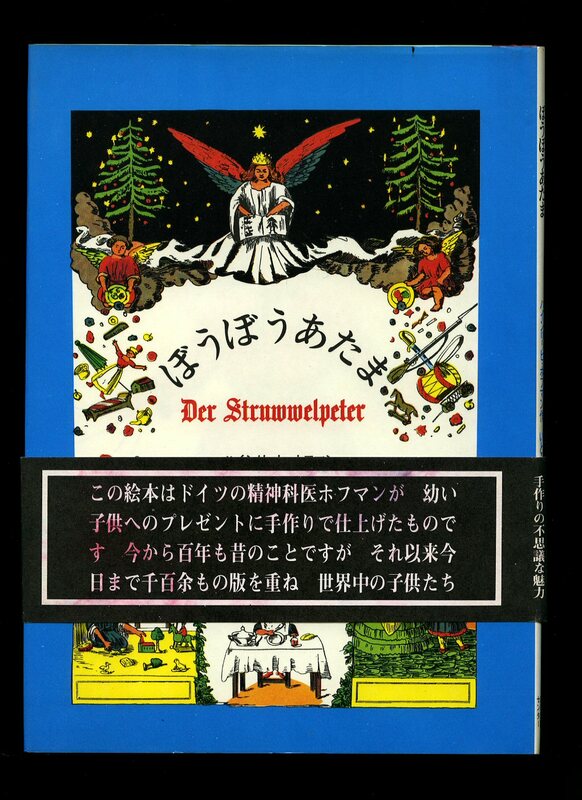 Contains 22 printed pages on thick card stock of German text with colour illustrations throughout Without any ownership markings and in Fine condition. 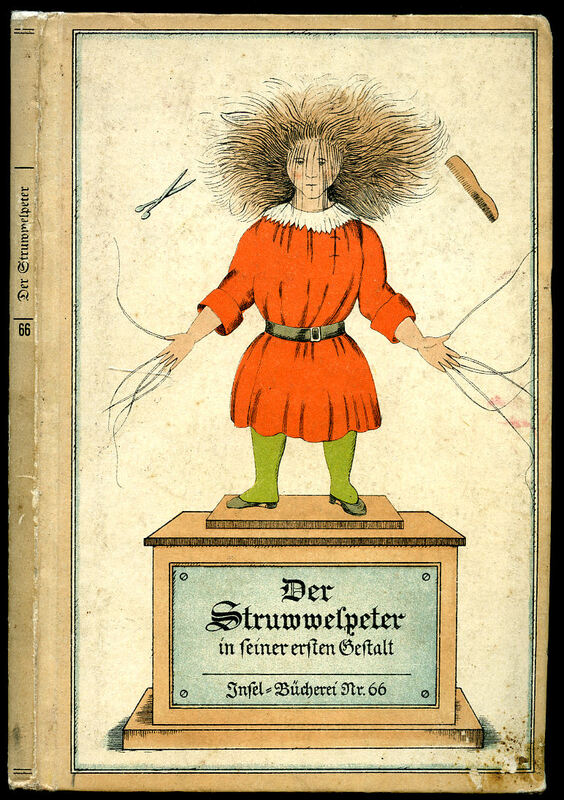 We currently hold in stock 35 other Struwwelpeter editions. Member of the P.B.F.A. Published by Erschienen IM I. & S. Federmann Verlag Munchen November 1948. Publisher's original stapled thin brown card wrap covers, terracotta cloth spine. Quarto 10½'' x 8¼''. Contains 24 printed pages of German text with colour illustrations throughout. A little dust soiling to the fore edge of the front cover, without any ownership markings and in Very Good condition. 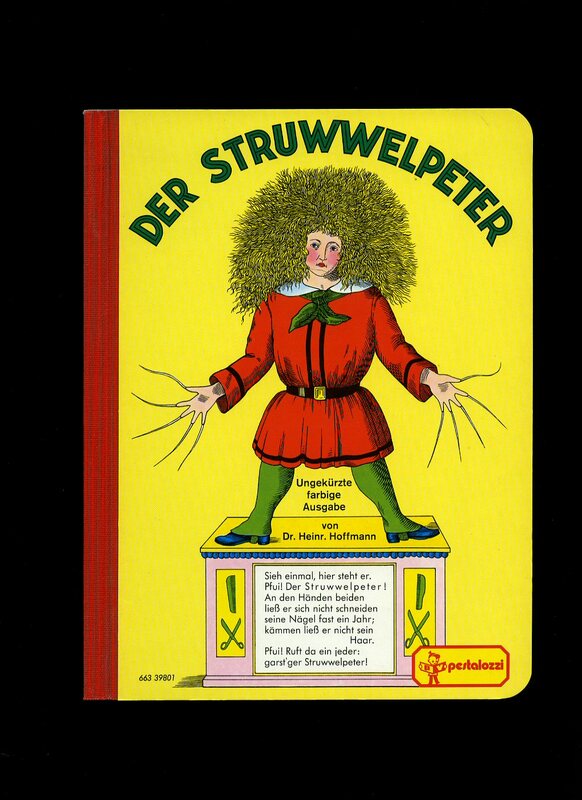 We currently hold in stock 35 other Struwwelpeter editions. Member of the P.B.F.A. Published by Diogenes 1982. Zürich 1982. Hard back binding in publisher's original colour illustrated paper covered boards. 8vo. 8½'' x 6''. ISBN 3257007175. Contains 32 printed pages of text with colour illustrations throughout. Without any ownership markings. Fine condition book, in Fine condition dust wrapper, unused new book. Dust wrapper supplied in archive acetate film protection, this protects and prolongs the life of the paper, it is not adhered to the book or to the dust wrapper. Member of the P.B.F.A. Published by Sinemis, Frankfurt 1995. 1995. Hard back binding in publisher's original colour illustrated glazed covers. 8vo. 8'' x 6''. ISBN 3921345065. Contains 32 printed pages of text with colour illustrations throughout. Without any ownership markings and in Fine condition, unused new book. Member of the P.B.F.A. Published by Im Insel Verlag, Leipzig circa 1950. 1950. Hard back binding in publisher's original colour illustrated paper covered boards, black title lettering and number 66 to the spine. 8vo. 7½'' x 5''. Contains 24 pages of German text and colour illustrations + ii + 6 text pages. Sporadic foxing to the page edges, slight soiling to the pale boards and in Good condition. Member of the P.B.F.A.